Search marketing is typically associated with PPC and SEO. However, there’s an overlooked aspect of search that can provide some very powerful data – internal search. Internal searches occur, obviously, when a person doesn’t find what they need on the page they land on. You don’t often see internal search boxes displayed prominently on PPC landing pages, however if users do not find what they are looking for on your landing page, they are likely to click back. However, if they make a further search on your site, you have another chance to get in front of them and collect data about their needs. You can then feed this information back into your PPC campaign by adding these search keywords to your ad groups and by creating new landing pages to target them. Jakob Neilsen has undertaken research on in-site search usability. Search lets users control their own destiny and assert independence from websites’ attempt to direct how they use the Web. Testing situations routinely validate this. A typical comment is: “I don’t want to have to navigate this site the way they want me to. I just want to find the thing I’m looking for.” This is why many users go straight to the home page search function. If the user doesn’t find what they are looking for on your landing page, then it makes sense to offer them a search option. This also provides valuable insight about what might be “broken” on your site i.e. the areas where you aren’t giving users what they want. For example, if your top internal search query is “contact details” you may have inadvertently buried this information. If your analytics package is comprehensive, you can link the PPC keyword they clicked-thru on to their internal search activity. This gives you a valuable insight into what may really be on their mind when they use a particular keyword. 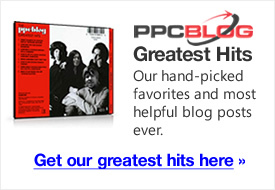 You can then re target your PPC campaign accordingly. Placing a search box in a prominent place on your landing page – Neilsen recommends top right hand corner, but also consider placing a search box at the end of your copy, or near your desired action. 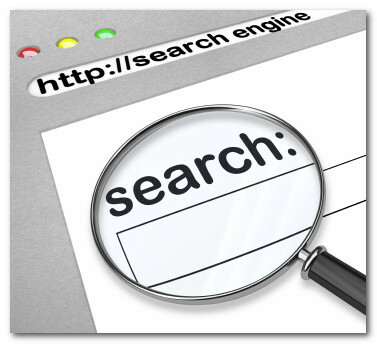 Make sure site search is accurate – Neilsen also noted that poor site search is next to useless. Check out Google’s Custom Search offering. There are various alternatives, of course. Use site overlays – Some analytics packages offer site overlays that tell you where on the page users click the most. If you’ve got your ducks lined up, users really shouldn’t be using the search box in great numbers. If you’re getting a lot of clicks on the search box, it’s time to tweak your landing page content and structure. Internal search can provide some great data. It’s especially useful if your landing pages are getting a lot of click-backs, and you’re not sure why. Give the user an opportunity to tell you. Great point, totally agree with it. That’s a goldmine of keyword research to know more about customers. Most content management systems come with a search function built into them. Typically search options are tied to the CMS so you can customize the search results & tailor them specifically to your site. Google also offers a couple options on this front including what they call a “custom search engine” and an ecommerce search solution. Another element that can make for an interesting test is using the internal search results themselves as a landing page – sometimes if there are a ton of products (for example, 40 different chairs) a search result can provide a more meaningful list related to individual keywords (“wicker chairs” might show the 5 wicker chairs the store has available).